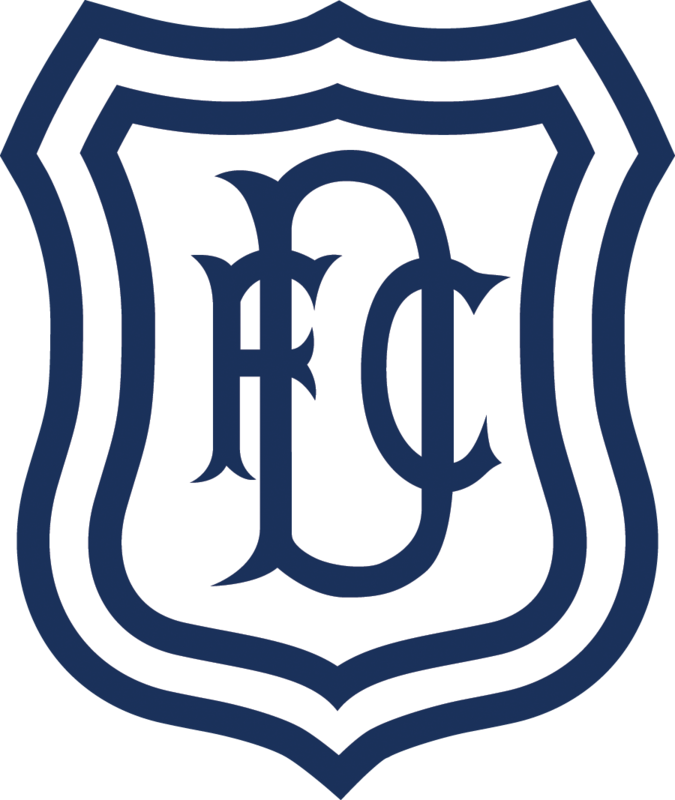 Dundee finished their Betfred Cup group D campaign with a 2-0 win over Brechin City that confirmed second spot and a place in the next round. Lewis Spence gave the Dee an early lead with his first goal for the club. Paul McGowan added the second, but Dundee couldn’t turn constant pressure into further goals. Brechin keeper Conor Brennan deservedly won the man of the match award for his heroics, frustrating the Dark Blues’ attackers with a string of fine saves. 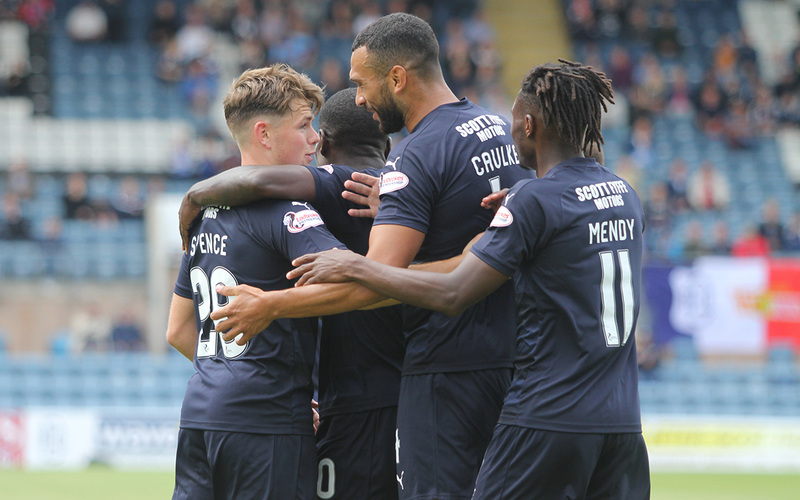 Dundee’s only change to the starting eleven was Craig Wighton replacing Sofien Moussa, who was still feeling the effects of last Sunday’s injury. The Dark Blue line-up was therefore the one that played the last 25 minutes of Wednesday’s win at Peterhead. Brechin brought in Euan Spark, Euan Smith and Kalvin Orsi instead of Giuliano Morena, Boris Melingui and James Henry following their defeat against Dunfermline. The Dark Blues quickly settled into their rhythm, taking charge of the match. They didn’t relinquish their control for the rest of a one-sided match. City’s keeper Conor Brennan was quickly into action and he barely had a moment’s rest until the final whistle. His first save was an impressive one from Elton Ngwatala after the Dee midfielder’s smart turn and rasping shot. Brennan pulled off another good save from a blistering drive by Kharl Madianga. There was no respite for City, however. The ball was cleared only as far as Lewis SPENCE on the right. He jinked past his man and scored with a delightful chip over Brennan, with the ball dropping inside the far post. Some observers may have thought he intended to cross, but the quality of the lob left Brennan helpless and would have given the waiting Jean Alassane Mendy a simple chance if it had not gone straight into the net. The game continued as a contest between Brennan and the Dee forwards. Brennan saved at full stretch from a low Mendy drive and then turned Craig Wighton’s angled shot onto the post. Jesse Curran was prominent in attacks down the right and went close with a 25 yard effort after cutting infield. Madianga again brought the best out of Brennan with a powerful shot from the edge of the penalty area, and Dougie Hill managed to clear the ball loose ball to safety before Mendy could tap the ball home. Dundee’s total dominance continued after the half time interval. Curran raced to the byline and his low cross was turned against the inside of the post by Madianga, with City escaping in the resulting scramble on the goalline. Dundee finally secured the second goal when City failed to clear Ngwatala’s free kick from the right. From 15 yards Paul McGOWAN sent an accurate shot into the corner of the net. Curran was impressing on the right and had the chance to concentrate fully on his attacking when Nathan Ralph came on for Ngwatala. He went to play at left back with Cammy Kerr moving to the right, releasing Curran to go after Brechin’s defence. The second half was almost a personal duel between Paul McGowan and Conor Brennan. After the second goal Brennan came out on top, pulling off two great saves from McGowan. He touched away a rising, swerving shot and then superbly saving from a delicate lob. McGowan should have scored from a Wighton cutback, but fired over the bar. A neat Mendy backheel set up McGowan for yet another shot, which was blocked by the desperate defence. Cammy Kerr had the final chance, racing into the penalty area, but finding himself clear in front of goal he… Well, it might be kinder to draw a veil over his finish, which was some way short of the quality of his defending. In injury time Callum Tapping picked up a silly second yellow card, followed by a red, for pulling Kerr down unnecessarily in midfield. It was a disappointing end to the game for Brechin, who had been determined to regain their pride after their midweek thrashing. They may have been outplayed today, but they stuck manfully to their guns, keeping their heads and resisting the endless waves of Dundee attacks. It is hard to draw many lessons for the forthcoming league campaign from this game against League One opponents. Dundee were utterly dominant right from the start. Of course such dominance should really have produced more goals, but full credit has to go to Conor Brennan in the City goal. The Dark Blues were never in any danger of failing to get the victory that would guarantee their place in the next round. The performances of Lewis Spence, around whom the midfield revolved, and Jesse Curran were especially pleasing. In fact, Spence’s performance was so good that he definitely intended to score that opening goal. It wasn’t a cross. Believe him! Unused subs: Hamilton (gk), O’Dea, Jefferies, Scott, Henvey, Lambert. Goals: Spence (10), McGowan (59). Booked: Spence (foul on C Tapping). Unused subs: O’Neil (gk), Melingui, Henry. Booked: C Tapping twice (fouls on Spence and Kerr), Hill (foul on McGowan). Sent off: C Tapping (two yellows). Attendance: 2,058 (87 Brechin fans). Referee: Kevin Clancy. Assistants: David McGeachie, Jordan Stokoe.